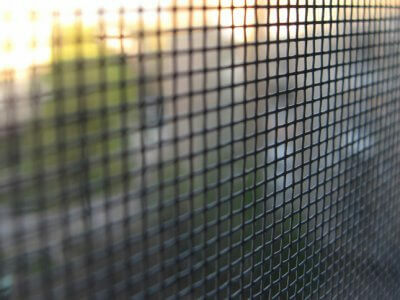 Goldco Security has been manufacturing and supplying security screens on the Gold Coast for over 30 years. 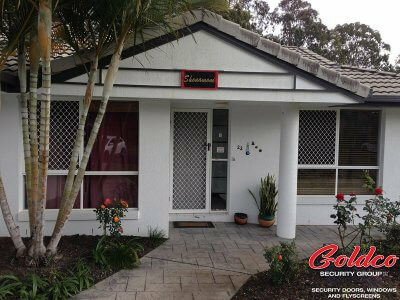 Goldco Security manufactures locally on the Gold Coast, priding themselves on quality workmanship, old fashioned service and affordable pricing. Offering a range of security screens and security doors for your home or business, Goldco Security manufacture and supply quality security screens from Aplimesh Security Products including SupaScreen® and IntrudaGuard®, for over 50 years more than 2 million Australians have chosen these products to secure their home. The strength and durability of our security screens and security doors offer the peace of mind knowing that your family and home are safe. Call us now on 07 5572 2628 to organise a free measure and quote from one of our friendly team. Get a quote now or email us. Secure your home or business in style and enjoy a clear, unobstructed 156 degree angle of view. 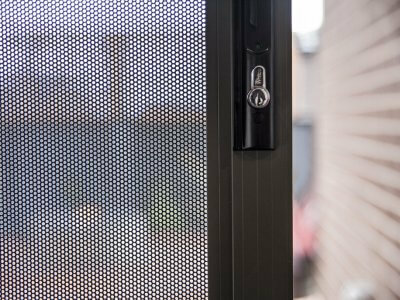 5052 marine grade aluminium with a distinguished perforated design and quality finish. Reliable safety for your premises, manufactured to suit all styles of doors and windows. 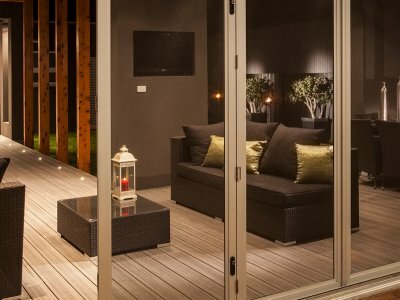 Patio Enclosures usable all year around making the most of the beautiful Gold Coast weather. 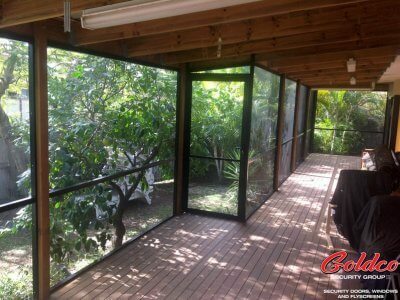 Quality flyscreen doors and flyscreen windows manufactured using solid construction frames. "The guys turned up when they were meant to, the product was delivered the day and time that was originally stipulated." "I would highly recommend Goldco to anyone." "New door looks great and the team friendly and professional - and they like dogs!" "Great service. The guys that installed my security screens were very professional, did a wonderful job. Thank you!" © 2019 GoldCo Security. All Rights Reserved.